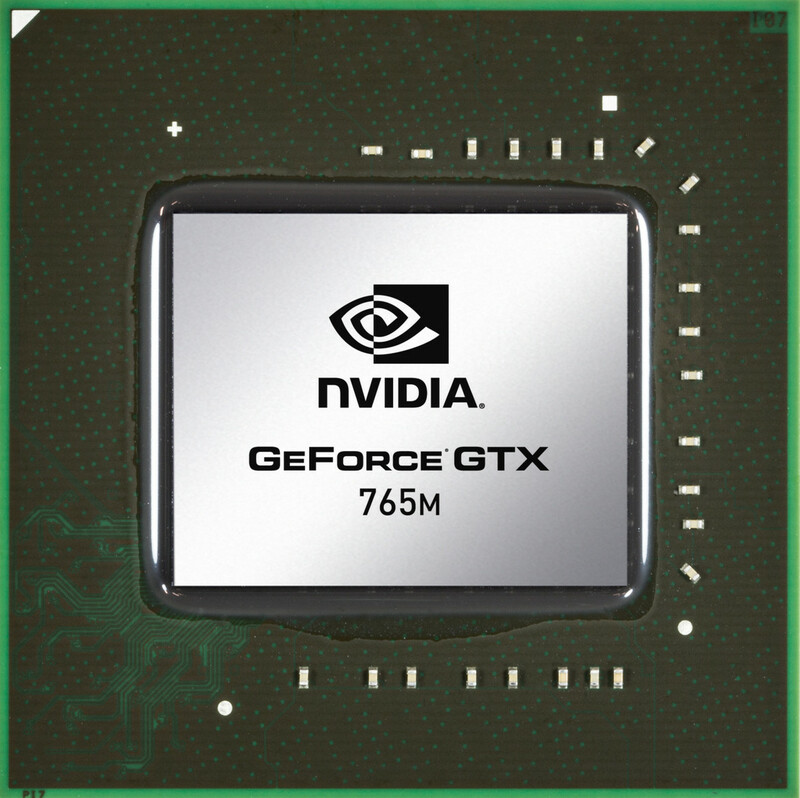 The NVIDIA GeForce GTX 770M is a high-end DirectX 11-compatible graphics card for laptops. It is based on the Kepler GK106 chip, as the older GTX 670MX, but offers a higher core and memory clock rate and GPU Boost 2.0. The feature set is still identical. 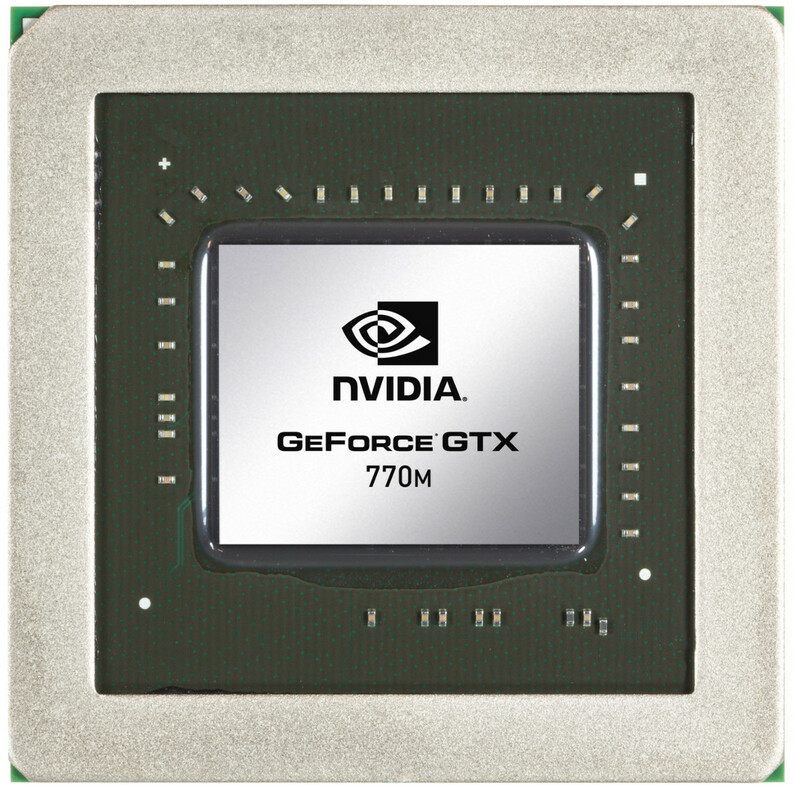 As a novelty, the GeForce 700M series implements GPU Boost 2.0 to automatically overclock the core clock rate. Depending on the cooling headroom of the laptop and the application / game, up to 15 % performance gains are possible. The Kepler architecture is the successor to the Fermi architecture that first appeared in laptops with the GeForce 400M series. The GK106 Kepler core offers five shader blocks, called SMX, that are clocked at the same speed as the central core. In the GTX 770M, all five blocks are active for a total of 960 CUDA cores. Although the Kepler architecture can utilize more shader cores than a Fermi chip, its shaders can be up to twice as power efficient. However, due to the missing hot clock of the shader domain, two shaders of a Kepler chip are of similar speed to one shader of a Fermi chip (as the latter is clocked twice as fast). The graphics performance of the GeForce GTX 770M is situated between the old GTX 675MX and 680M high-end graphics cards. The maximum performance may differ a bit depending on the cooling solution of the used laptop (due to GPU Boost 2.0 better colling solutions lead to a better performance). Very demanding games of 2013 like Crysis 3 or Far Cry 3 may need more performance for 1920x1080 and maximum detail settings. Therefore, 1600x900 without antialiasing may be the maximum setting for these games. Older and less demanding games however are playable in full HD and ultra settings. See below for detail gaming benchmarks. The feature set of the GTX770M is identical to the GTX670MX as both are based on the same GK106 core. Therefore the GPU supports up to 4 active displays. Furthermore, high resolution monitors of up to 3840x2160 pixels can now be connected using DisplayPort 1.2 or HDMI 1.4a if available. HD-Audio codecs, such as Dolby TrueHD and DTS-HD, can be transmitted via bitstream mode through the HDMI port. However, as most laptops will feature Optimus, the integrated GPU will likely have direct control over the display ports and may limit the feature set available by the Nvidia Kepler cards. The 5th generation PureVideo HD video processor (VP5) is also integrated in the GK104 core and offers hardware decoding of HD videos. Common codecs such as MPEG-1/2, MPEG-4 ASP, H.264 and VC1/WMV9 are fully supported up to 4K resolutions while VC1 and MPEG-4 are supported up to 1080p. Two streams can be decoded in parallel for features such as Picture-in-Picture. Finally, the dedicated video encoding engine called NVENC API similar to Intel QuickSync is integrated in the chip. The power consumption of the GeForce GTX 770M should be similar to the GTX 670MX (75 Watt according to rumors) and is therefore best suited for large notebooks (17-inches or greater) and desktop replacements.